Selected quotes written by fellow fans in the old guest book. Thanks for the feedback and thanks to all who continue to visit. Darren, thank you so much. Your site is a wealth of information and you make the history and "goings on" of the band come alive, especially for those of us that have not been blessed with having the opportunity of seeing them perform live. 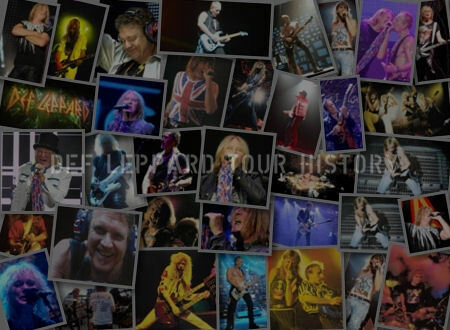 This is the best Def Leppard website I have ever come across. 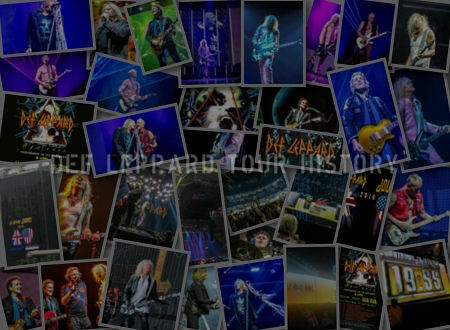 I have visited hundreds of different Def Leppard websites, and this is the best one by far !! It has everything any DL fan could ever possibly want to know...it has everything that i have ever looked for. Thank you for putting so much hard work and effort into this site. Great site. Love to keep up with tour information. I have been a fan of Def Leppard for a long time and really enjoy all the brilliant information this site provides on the Leps. 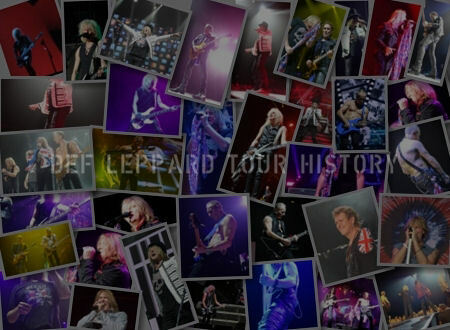 The Tour History pages are second to none, offering a unique glimpse into the long history of the Leps from Day One through present day. Your website is one of my favorite, it's really awesome!. 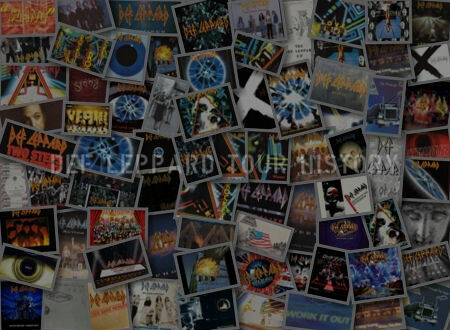 Amazing web page, I'm the number one fan of Def Leppard in Colombia maybe, i have all of them, and i know all about them, excellent page, for the greatest rock band ever. Your site is a joy to visit. Fast updated info and just plain good. Thanks for your effort that you put into your site. It's nice to know there's someone else in the UK who shares my passion for all things Lep. I'd like to think that we've helped each other out with Leps info and upcoming events - long may your site continue. Rock on!. Great site! I imagine that you have spent a lot of time researching all of those past tour dates! Well done! An amazing and great addition to all of the DL sites on the web!.